I love my daughter’s preschool. But there are two stand-out reasons why it has changed my life: 1) they are helping me potty train a toddler and 2) they make fresh challah every Thursday. Not at the same time. 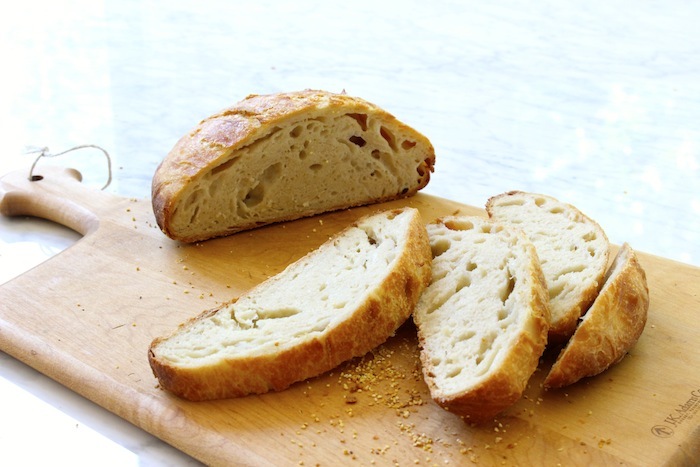 As we’ve been discussing all month, bread can seem like a big low-sodium challenge. The store-bought loaves can equal upwards of 200mg per slice. And because we tend to eat a lot of bread for breakfast, lunch, and dinner, those numbers can really add up. 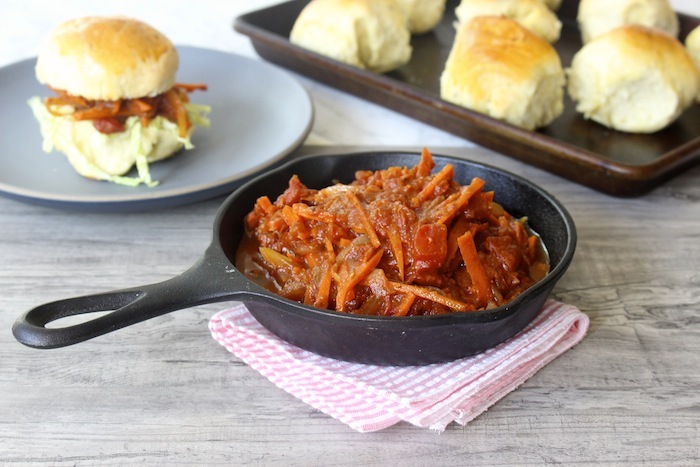 But with many low-sodium products on the shelves and many more creative low-sodium swaps at your fingertips, you now know how to skip the high-sodium stuff and still enjoy all those bread-based meals and recipes you love. Including ice cream cookie sandwiches. How about the real thing, though? But then, my two year old who still wears diapers and pretends to be a tiger made challah. Good challah. On a weekly basis. So I was inspired to give it a try. And the truth is, making bread from scratch is really easy. Like, even easier than roasting a chicken. And definitely easier than boiling an egg. Although you may need to set aside a few hours for some recipes, or even prepare a day ahead, the good news is that most of that time is inactive cooking time. Meaning your bread just rises while you do other things. Like getting that tiger to take a nap. Or preparing delicious spreads for that fresh loaf of bread (see below for suggestions). Also, please take a moment to note that bread–whether it is a boule (big round loaf), a focaccia, or challah–usually starts with a very simple ingredient list. Which is a good thing. Bread was meant to be a canvas for flavor experimentation. So when you leave out the salt, there’s a lot of room to add your own salt-free spices (caraway seed, za’atar, dried dill weed) and other fun textural ingredients (raising, nuts, chopped up pickled cherries). In general, I suggest using yeast-based recipes to avoid adjustments with sodium-free baking powder and baking soda. Although, if you find an easy bread recipe with those ingredients, just remember to make the switch–usually you need to use twice the amount of sodium-free baking soda, so check the packages for instructions. 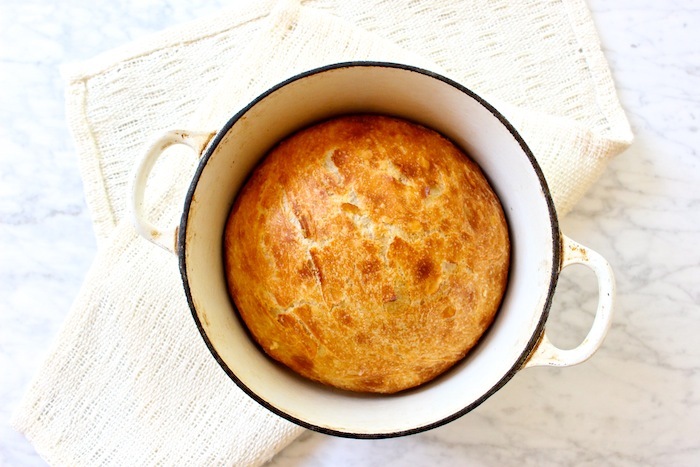 So in honor of this Super Bowl weekend, let me encourage you to bake a boule. Use it for sandwiches. Fill it with chili. Or even make this amazing Pull-Apart Bread, using oil and salt-free spices (fired onion flakes, dill weed, fennel seed, salt-free garlic powder) in place of the cheese. Or a little Parmesan or swiss cheese if you can handle the extra sodium. As for the challah, let’s just be clear that the only reason one watches the Super Bowl is for the commercials and the buns. 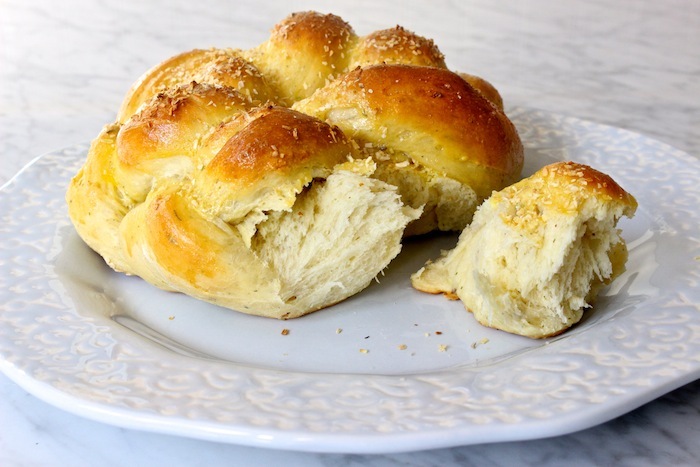 So while you can make a more traditional round braid (which is beautiful and easy to pull-apart for guests), you can also use that challah dough to make mini challah buns. 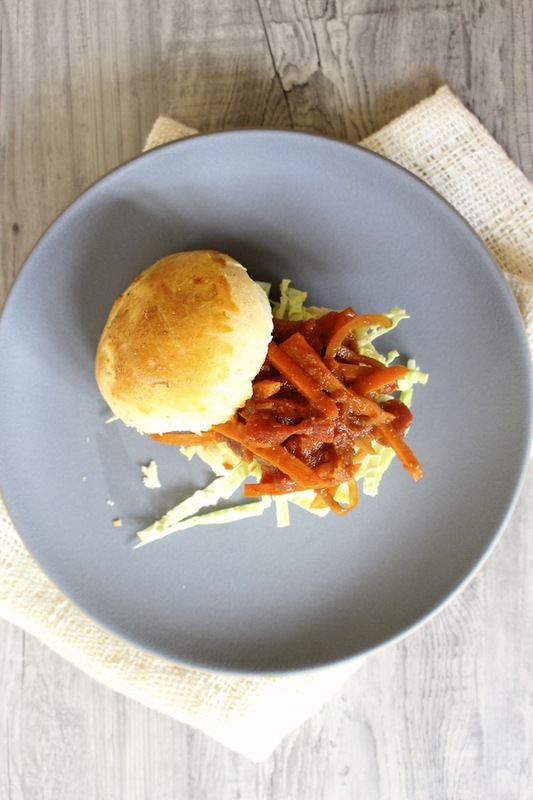 For sliders, for pulled carrots, or for salt-free sloppy Joes. And don’t stop there. Whip up some simple, salt-free spreads for your bread. 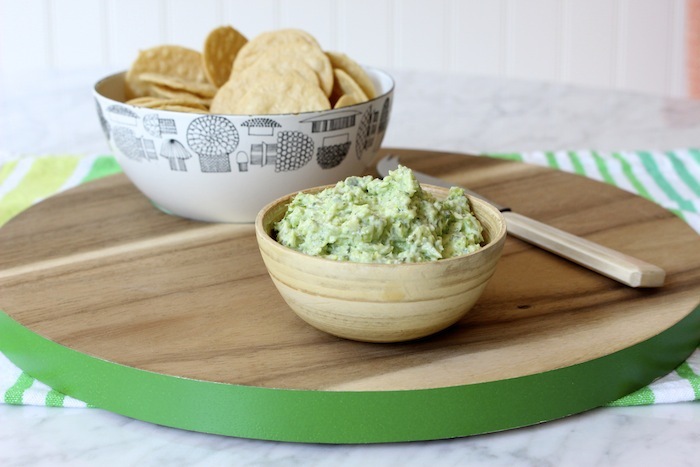 Like hickory smoked fish dip, creamy broccoli yogurt dip, and a ricotta and pumpkin seed-spiced dip. Once you start making your own, salt-free bread, you’ll never crave the old, plastic-wrapped stuff ever again. You’ll even star getting the hang of making dough by feel, knowing how to adjust when it is too sticky or too dry. You’ll start adding all your own spices and ingredients. You’ll braid and bun and egg-wash and toast. 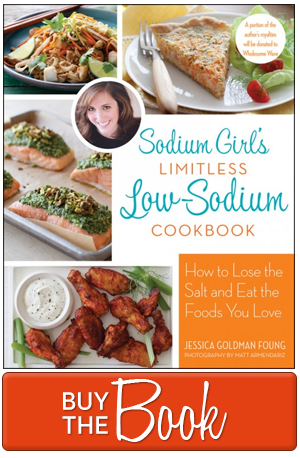 And you’ll conquer this seemingly impossible sodium challenge, one mouth-watering loaf at a time. So CONGRATULATIONS on completing your first month of low-so roadblocks: low-so bread. Be sure to post your #lowsogood #lowso loaves on Facebook and Instgram (and be sure to tag them). And get ready for February where we will talk all things low-so sausage, cured meats, and YES, bacon. In a large bowl combine flour, yeast, salt-free garlic powder, black pepper, and other spices (if using). Add 2 cups water, and stir (with your hands or a silicon spatula) until combined. Dough will be shaggy and a bit sticky, but this is the right texture. Cover the bowl with plastic wrap and let it rest at room temperature (about 70dg F) for at least 12 hours. When you’re ready to bake, lightly flour your work surface and the dough. Then, on the work surface, fold the dough over itself a few times (yes, you are kneading it just a little bit) until the dough is soft and pliable. Shape the dough into a ball and place it seam-side down in a clean bowl. Cover the dough with a little more flour and a towel and let it rise for 2 more hours. The dough should be bigger and springy to the touch. Preheat oven to 450dg F. Put a 6 to 8 quart Dutch oven or heavy pot (cast iron, ceramic, or enamal-coated) in the oven as it heats. When the oven is ready, carefully remove your Dutch oven and sprinkle the bottom with cornmeal. Place your dough inside the pot, with the cover on top, and bake for 30 minutes. Remove the lid and cook for a final 15 minutes until the loaf is golden brown. Let it cool on a rack and then start eating the darn thing. Or keep in an air-tight plastic bag or plastic wrap for up to a week. 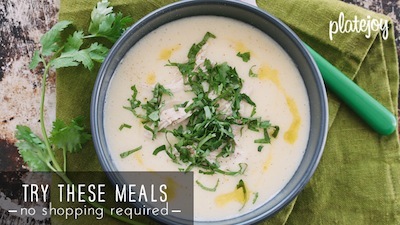 In a large bowl, dissolve yeast and 1 1/2 teaspoons sugar in 3/4 cups lukewarm water. Whisk oil into yeast, then beat in 2 eggs, one at a time, with remaining sugar, garlic powder, dill, orange zest, and black pepper. Gradually add flour, one cup at a time. When dough holds together and all the flour is incorporated, it is ready for kneading. You can also use a mixer with a dough hook for both mixing and kneading. Lightly flour a working surface, and knead the dough until it is smooth and pliable (not too dry and not to wet, adding water or flour as needed). Form the dough into a ball and place it seam-side down in a clean bowl. Cover with plastic wrap or a warm towel, and let rise in a warm place in your kitchen for 1 hour, until double in size-ish and springy to the touch. To make the challah, cut the dough into three equal parts. Then channel your inner-kindergartener and make each piece into a long “snake” rope (about 12-inces long and 1 1/2-inches wide). Place the three “snake” ropes next to each other with some room in between. Then pinch the tops of all three snakes together. And, as if you are doing your toddler lion’s hair, use the strands to make a braid (see tips below). And when you reach the end, pinch the ropes together again as you did the top. You can bake the challah like this or coil the braid into itself, tucking and pinching the end under the dough, making a round circle. Place the challah on an oiled baking sheet. Let the dough rise for another 30 minutes. Preheat oven to 375dg F.
Beat the remaining egg and use a pastry brush to cover the challah with the egg wash. Then place your dried onion flakes (or other spices) into a small bowl and mix with a little bit of the remaining egg wash. Set it aside. Place in the oven to cook until it begins to take on a golden-brown hue, about 20 to 25 minutes. Then remove the challah from the oven and carefully use your hands the cover the challah in the egg-onion mixture. Place back in the oven until the onions have browned, about 10 to 12 minutes. Let the challah cool on a rack and then serve. Or keep in an airtight plastic bag or plastic wrap for up to a week. Want to make some buns? Instead of braiding, cut the dough into four even pieces. Then cut those balls into thirds, making a total of 12 dough pieces. Use your hands to gently fold and roll those pieces into balls and place them, snuggled tightly next to each other, on a greased baking sheet (as you would parker house rolls). I usually place them in a 3-by-4 grid-like shape. Then continue with the egg wash and onion coating as directed. But adjust the cooking time, baking the rolls for only 12 to 15 minutes with the egg wash; adding the onions; and then baking for a final 5 to 10 minutes, until golden. Need tips on braiding? Starting left to right, let’s number the three ropes 1, 2, 3. To braid, pick up rope 1 and then place it over rope 2. It is now in the center. Then pick up rope 3 and place it over rope 1. Now it is in the center, rope 2 is far left and rope 1 is far right or 2, 1, 3. Repeat those same steps–always starting with the outside left rope, or rope 2 this time–until you’ve reached the end. GYRO’s and English muffin idea! I made the so-lo no-knead boule and I think the water should be 1 and 1/2 cups, not 2? the dough was very “batter-like”. So – I fried some up using some ghee in a cast iron skillet and then split them later and toasted them and they were english muffins!. 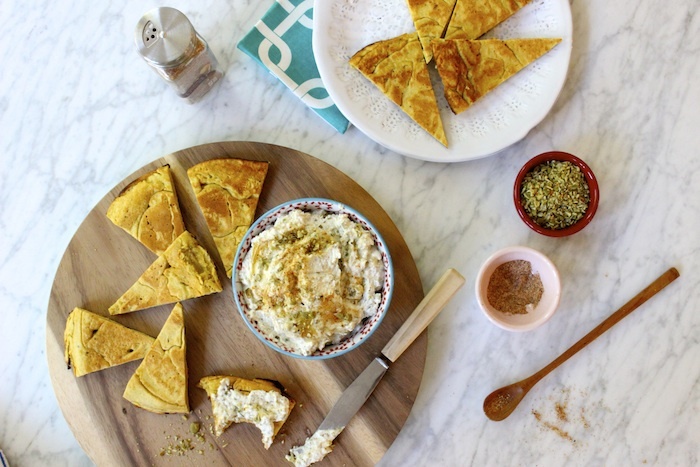 I think the “batter dough” could be alittle thinner and fried to make pita bread – maybe with some mediterranean (sp?) herbs in it for flavor. Something for me to experiment with…. Feel free to share this with your constituents. Thanks for all you do! I am only now exploring Lo-So. Thank you for these and the Lo-so Ruben sandwich I discovered this morning. I am looking forward to what, this morning, I thought was impossible!